Pick any pair of Jachs chinos plus a polo of your choice and get them both for just $69 when you use code PICK2, a savings of over 55%. 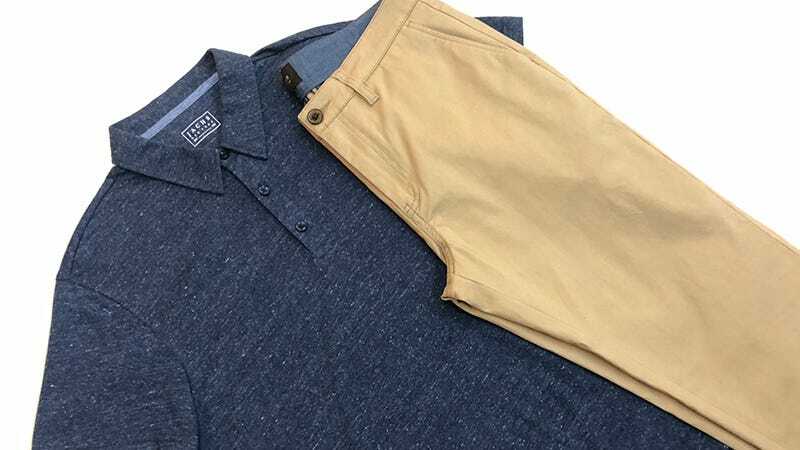 Jachs chinos are made of stretch cotton (98% cotton and 2% spandex), which provides a slight stretch for better movement, and come in eight color options. And their polos are a classic fit, 3 button polo, made of an 84/16 cotton and linen blend. The Promotions team (we’re on the business side, not editorial) negotiates discounts on notable products and services and Gizmodo receives revenue if these products and services are purchased. If you’re interested in partnering, have questions or comments, drop us a line at promotions@gizmodomedia.com.